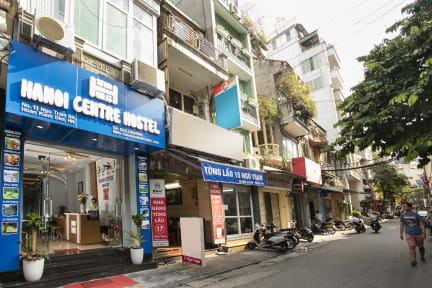 Hanoi Centre Hostel i Hanoi, Vietnam: Reservér nu! We were picked up at the airport, by a nice driver the hostlet had booked for us. we stayed in a 4 dorm room but there were four shared beds so we were actually 8. bathroom on each floor. aircon is good, delicious free breakfast. the staff were very helpful in planning trips outside hanoi. can be recommended if you do not want a party hostel.